The desire to be better, to go harder, to drive faster; it's in our DNA as Porsche enthusiasts. When it comes down to it, being an excellent driver is about communication between the driver and the car. High performance driving is a battle between you and grip, between you and physics, between you and the track. 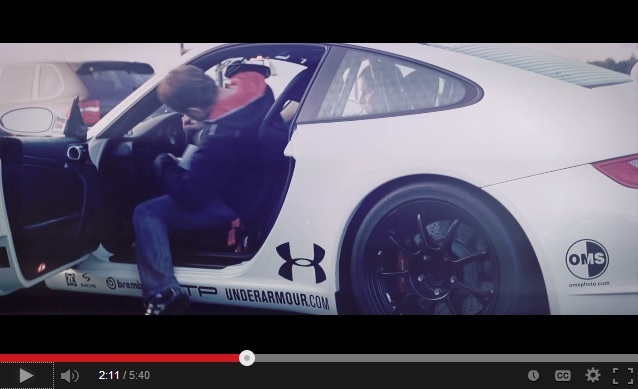 Track junkie Nathan Shriver and his 997 GT3 take to the track in this short film "Wide Open" to give you an idea just what it is about the battle that carries so many addictive properties. The Porsche Club of America hosts events called DE or "Driver Education", and Mr. Shriver is one of the thousands nationwide that have fallen in love with the experience and taken things to the extreme. DE is all about improving the driver, but a common theme is that drivers tend to improve their Porsches along the way, often making their cars nearly undrivable on the street. What's the point in owning a Porsche if you can't drive it? Well, as these enthusiasts will tell you, you don't really get to drive a Porsche on the street, its true nature isn't shown until it is unleashed on a track. Grabbing a few cameras, his keys, and helmet, Shriver and OMS productions managed to produce a visually compelling short story. It's his tale of addiction, and I can't tell if it is a cry for help or an exclamation of greatness. The addict and his quest for the ever higher highs of lower lap times. I can attest that there is something completely addictive about the use of slick tires, as grip has to be the most addictive concept in the universe. There is no way to describe how 1.4 Gs of lateral acceleration feels, you simply have to feel it for yourself. But be careful, because you might succumb to the addiction that turns your street Porsche into a trailered track rat. How Far Would You Drive To Get To A PCA Event? With about 20 years of PCA DE driving and instructing and a share of racing behind me, I can understand the sentiment in the vid. It is indeed a wonderful slippery slope. But I also think that there are many other points to owning a Porsche, and it can be every bit as rewarding to do your own thing with your own Porsche- whatever that is. I started doing autocross with my Boxster and feel the same way. I would get a run done and go back to the video trying to see where I can gain a tenth of a second. It’s crazy, but I love it. Thanks for the post, and your excellent write-up, Bradley! I appreciate your kind words on the film. Big fan of FS here.